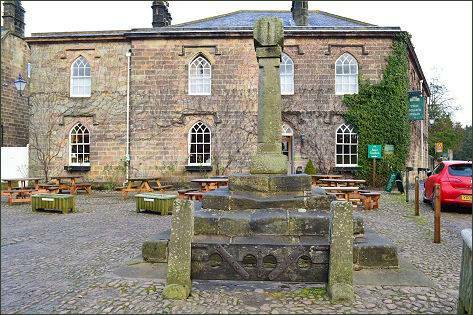 The characterful heritage listed village of Ripley is situated a few miles to the north of the spa town of Harrogate and north west of Knaresborough. The unique and tranquil estate village, which lies on the eastern edge of the Yorkshire Dales National Park, is dominated by Ripley Castle which dates from the fifteenth century. The castle has been the home of the aristocratic Ingilby family for 700 years. The Ingilby family are one of the ten oldest families in the country still in the same residence. The castle and its landscaped grounds and ornamental lakes are open to the public. 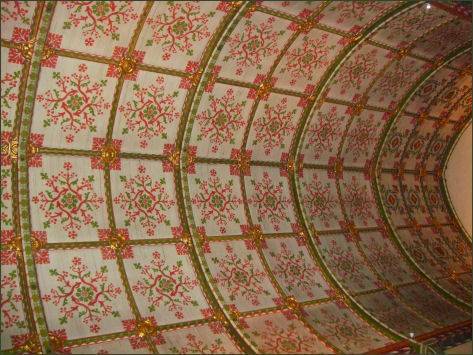 Sir William Amcotts-Ingilby tore down the old village in the nineteenth century and modelled it in the style of the villages of Alsace-Loraine in France, with a fench Gothic revival style town hall, which he had seen while travelling. The unique town hall, which was built in 1854, has recently been restored to its former splendour with the aid of a Heritage Lottery Grant. The castle and the parish church were not affected by the reconstruction. 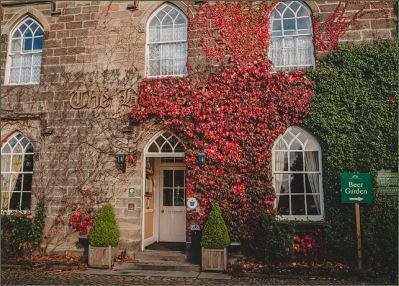 The creeper clad Boar's Head Hotel, a beautiful old coaching inn in the village, is so named after an incident in which King Edward III fell from his horse whilst hunting in the forest and could have been gored by a wild boar. Thomas Ingilby killed the boar and was rewarded with a knighthood and family crest. The inn has two exceptional dining areas, a contemporary Brasserie setting and a relaxed Bistro and Bar and offers good quality accommodation. . 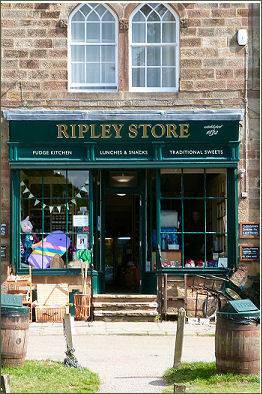 The village has lots of interesting things for the visitor to see, including an excellent farm shop the Ripley Ice Cream Parlour, which sells famous Ripley ice cream, a post office, a florist, quality food shops, a florist and the Chantry House Gallery which was established in 1980. 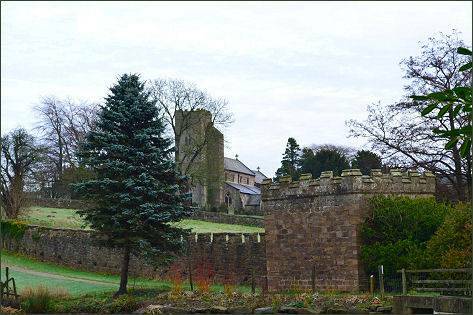 All Saints Church faces Ripley Castle each other across the village's cobbled square. 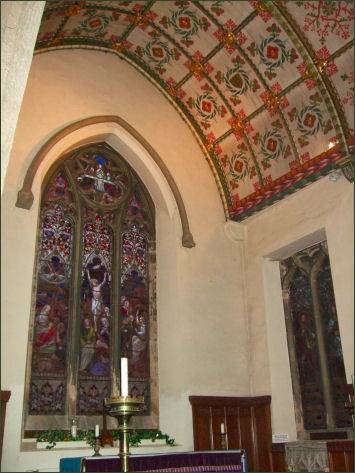 The church dates from the late fourteenth century and replaced an earlier chapel which had suffered from subsidence, and became known as 'the Sinking Chapel.' contains the tombs of several of the Ingilby family, who's descendants still live in the castle today. These include the effigy chest tomb of Sir Thomas Ingilby (1290-1369). Their heads rest on a wild boar, in a reference to the incident where Thomas saved the life of Edward III. The east wall of the church, displays musket ball marks that were made when Parliamentarian soldiers executed Royalist prisoners after the Civil War battle of Marston Moor. 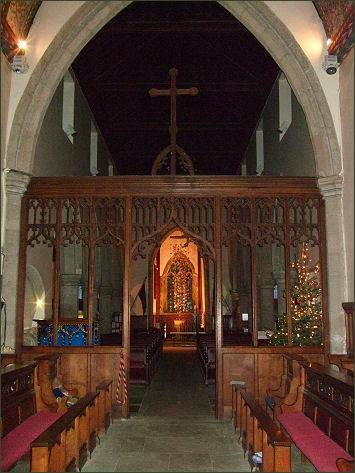 Oliver Cromwell billeted his troops and stabled his horses in the church after the battle. 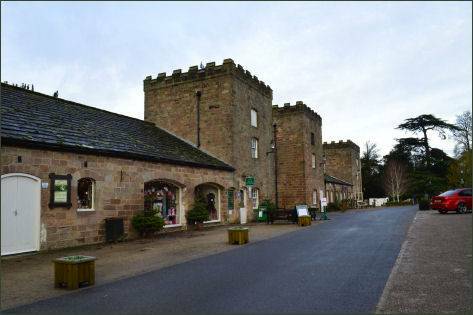 Following his victory, he had pursued the fleeing Royalists and reached Ripley by nightfall, spending the night in Ripley Castle. Within the churchyard is one of the few remaining 'weeping' crosses in Britain - a pedestal with a hole in the top for the reception of a larger cross and surrounded by small recesses where penitents could kneel in discomfort.